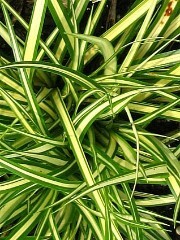 Carex is also known as sedge. There are dozens of varieties, some hardy, some grown as annuals. These are cool season, clumping grasses.